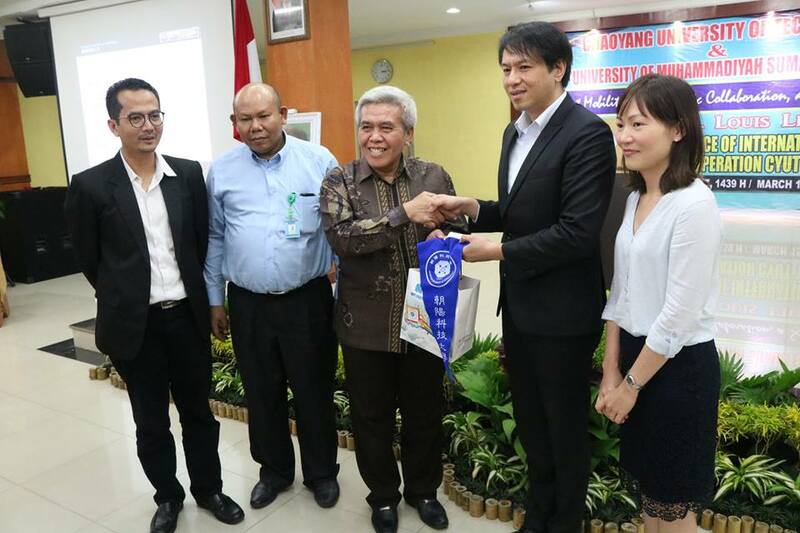 Medan, March 15 2018 – The Office of International Affairs UMSU cooperate with Chaoyang University of Technology Taiwan held a general lecture in the Auditorium University of Muhammadiyah Sumatera Utara in Jl Muchtar Basri No.3 Medan, Thursday (15/03/2018). This event took the theme about “Student Mobility and Academic Collaboration, a Schoolarship Update” by presenting speakers Dr Louis Liu, Associate Dean, Office of International and Cross-Strait and Ms. Sylvia Huang, The Program Manager, Office of International and Cross-Strait Cooperation. 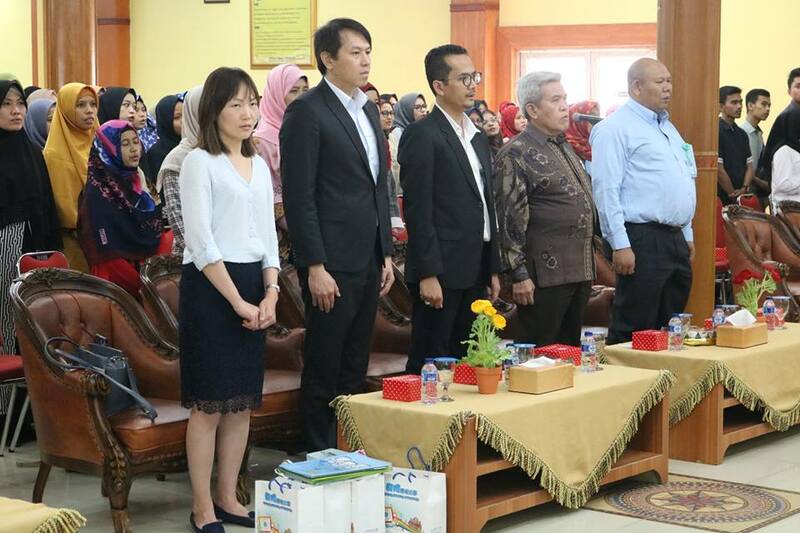 This event was officially opened by the Vice Rector I University of Muhammadiyah Sumatera Utara, Muhammad Arifin Gultom,SH.,M.Hum, and also attended by the Head of the office of International Affairs UMSU, Dr Eka Airlangga, M.Ked(Ped),.Sp.A, the Dean of the Faculty of Engineering, the Dean of the Faculty Of Economics and Business and the students. This activity aimed to offer study information about Magister and Doctoral programme for students and lecturers UMSU. The Vice Rector I Muhammad Arifin Gultom,SH.,M.Hum revealed that previously UMSU has been successfully sending lecturers to studied abroad with scholarship program , and the Office of International Affairs (KUI) has many send students to intern UMSU and real work courses abroad. WR 1 very appreciating to this activity that can add insights for students UMSU about education abroad.